Choose from 1 boats in Pula. Charter a yacht in Pula, Croatia, the largest city on the Istria peninsula. When you rent a boat in Pula, you’ll have a chance to explore the best of Croatia. Chartering a yacht in Croatia is the best way to discover its rich culture and over 2,000 islands. When renting a yacht in Pula, you are in close proximity to the Brijuni Islands national park, the gorgeous Kornati archipelago, and Kamenjak peninsula. Pula sailing holidays are a fantastic way to discover Croatia with the freedom to travel your own route. From remote beaches and crystal-clear waters to UNESCO World Heritage Sites, your boat trip on a yacht charter in Croatia will be one to remember. Pula is located on the southern base of Croatia’s Istrian peninsula and lies in a naturally protected cove, which makes it a great starting place to discover the northern region of Croatia by boat. It is best known for its rich Roman history, as testified by the city’s 1st-century amphitheater, the Pula Arena, as well as impressive churches and fortresses that date back to the Medieval and Renaissance times. 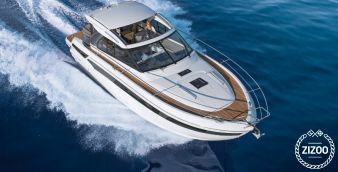 At Zizoo, we provide a range of yacht charters to rent in Pula. With over 260 yacht charters to choose from, a sailing holiday in Pula is perfect for adventure seekers, a romantic getaway, family vacations, and party with your friends. 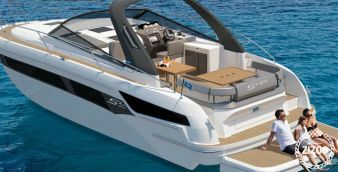 Charter a Catamaran in Pula for a luxurious and comfortable trip at sea. Rent a sailboat in Pula for the full nautical experience and let the wind guide you on your way. Rent a motorboat in Pula if you have the need for speed and want to travel the colorful coast in style. For the explorer in you, rent a gulet in Pula to feel like a true captain at sea while sailing on this traditional masted wooden ship. When chartering a yacht in Pula, there is much to explore in the city itself as well as the surrounding islands. Going on a sailing holiday in Pula is the best way to tour the breathtaking islands at your own pace. Sail to Brijuni Islands National Park, a stunning collection of 14 islands in the northern Adriatic Sea that are well known for their natural beauty. Enjoy the lush vegetation and the Safari Park as well as historic ruins and cultural sites. When you go sailing in Pula you can also visit Veli and Mali Brijun, the largest islands, which can only be reached by boat. The Pula Arena - This first-century Roman Amphitheatre, is one of the most well-preserved areas remaining in the entire world. When chartering a yacht in Pula, be sure to check the official Pula Arena website to get tickets for events hosted within. The Brijuni Islands National Park - Consisting of 14 islands in total, this Croatian national park also includes a safari park with exotic animals, archaeological sites, and over 200 discovered dinosaur footprints. Unleash your inner explorer when sailing in Pula. The Kornati Archipelago - When chartering a yacht in Pula, be sure to sail this nautical paradise that is twenty-two miles long and home to more than 140 islands. The uninhabited islands have beautiful untouched landscapes and some of the cleanest beaches in Croatia. It is no wonder why the archipelago is best reached by boat. The Kamenjak Peninsula - Located at the southernmost point of the Istrian peninsula, Kamenjak is famous for its rugged cliffs, pebble beaches, and turquoise waters. 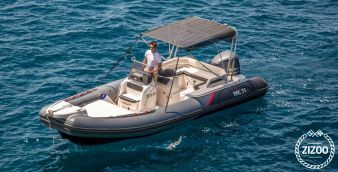 When renting a boat in Pula you are sure to enjoy warm weather with an average temperature of 24°C to 29°C in the summer months. The coldest temperatures are in January, with 5-10°C. However, sailing holidays are ideal in the months of April through October. During the summer months, water temperatures rise to around 25°C. It is also the best time to go sailing in Pula when you can enjoy the favorable winds with warmer temperatures. Diurnal winds are moderate during the summer months, with a force between 4-5. At night, descending katabatic winds travel down from the mountains. Sirocco or S/SE winds can develop in summer, usually coming before a depression moves across the Mediterranean. As the in Istria, Pula is served by its own airport, which receives a number of domestic and international flights. It will take you less than 10 minutes to arrive in the city center, which is just 6 km away by bus, taxi or car. Be sure to ask your Zizoo Boat Holiday Expert for information about transfers from the airport to the marina as well. The Croatian Kuna is the local currency, although some establishments will also accept euros. From the city center, the Pula marina is just a few minutes away by car. Pula’s historic harbor is situated in a unique location, right in front of a beautiful Roman amphitheater. At the marina in Pula, it is possible to anchor 6-8 meters away from the ferry route or you can anchor in one Pula’s beautiful bays. The marina features 213 berths for yachts up to 15 meters. For a fee, you can also latch onto a mooring buoy. In the summer months, it is advised that you reserve a mooring spot in advance to ensure your spot during your sailing holiday in Pula. Sailing culture and all things nautical are part of everyday life in Pula and embedded in its rich culture and pristine nature. When you charter a yacht in Pula you’ll be sure to find many ways to get local, up-to-date sailing conditions during your trip. And if you are new to sailing, there’s no need to fret. With Zizoo, you can easily arrange to have an experienced skipper on your sailing holiday who will take charge of navigating while you sit back and relax on your perfect boat holiday. So what are you waiting for? 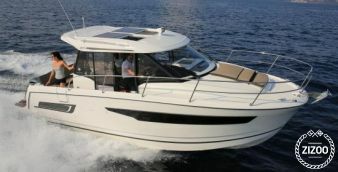 Charter a yacht is Pula today and explore Croatia from the water.